After a manic month or so shipping Kossel Mini Kits we have been getting loads of feedback from those building the printer. A lot of the feedback was around the documentation which we have continued to adapt and develop, trying to ensure that if we get asked a question a couple of times we answer it in the documentation. Please keep this feedback coming - we really appreciate it! This means the endstop trigger point can be finely adjusted in order to level the bed very accurately. The Delrin V-roller carriage adapter is modified from Haydn Huntley's design, while the slim line endstops are from Johann's original design. The modified files are available on our Github. 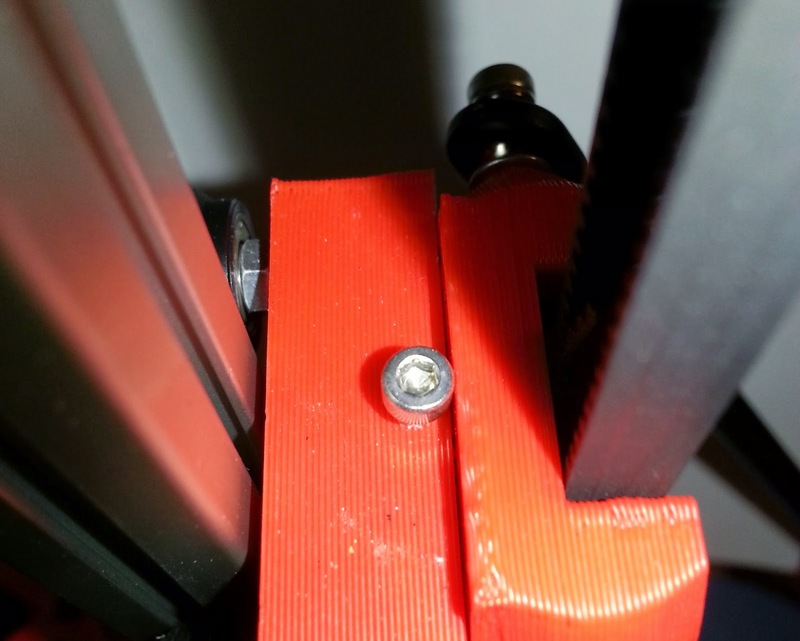 The changes can be retrofitted to existing Kossel Minis by simply drilling a hole for the M2.5 to self tap into and printing the thinner endstop mounts. It is fiddly to drill the holes in situ, even using a hand drill, so one Delrin V-roller can be removed to allow the carriage to be removed for easier access. We will shortly publish a new chapter of our Mini Kossel build manual showing this process in detail. This process will be incorporated in the manual as soon as we are confident we have explored any downsides to this approach. The endstops on the X Y and Z pillars should all trigger at the same distance from the bed. This procedure will show how to set these. Start by using a ruler or measuring tape to set them approximately (within 1mm) at the same distance up the pillars. Then work through steps 1-5 below. 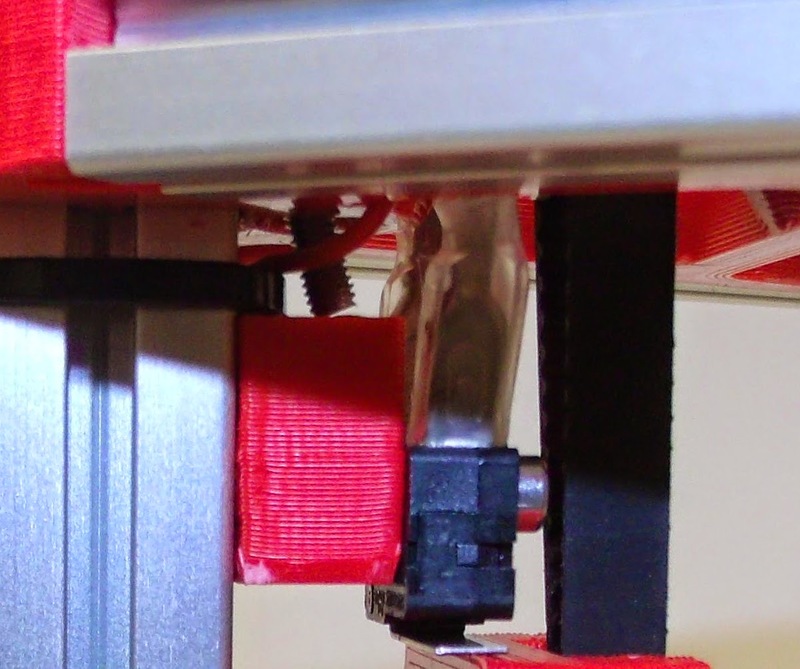 Note you should do this with the extruder (and heated bed if you have one fitted) at the printing temperature. Move the extruder to just in front of the X pillar (G1 X-76 Y-43 Z10 F7000). The tip should be approximately 5mm above the bed. Lower the extruder using Pronterface until a piece of standard 80 gsm printer paper just drags on the nozzle. Move the extruder to just in front of the Y pillar (G1 X76 Y-43 Z10 F7000). The tip should be approximately 5mm above the bed. Check the Z height using M114; the aim to get this to the same value as that recorded for the X axis. Finally we can set the correct “0” point for the centre of the bed. The endstop trigger points are now all within 0.1mm of each other and Z “0” is within 0.1mm of the top of the bed. The next step is to calibrate the delta radius - Minow's blog outlines the process very well (see step 3). 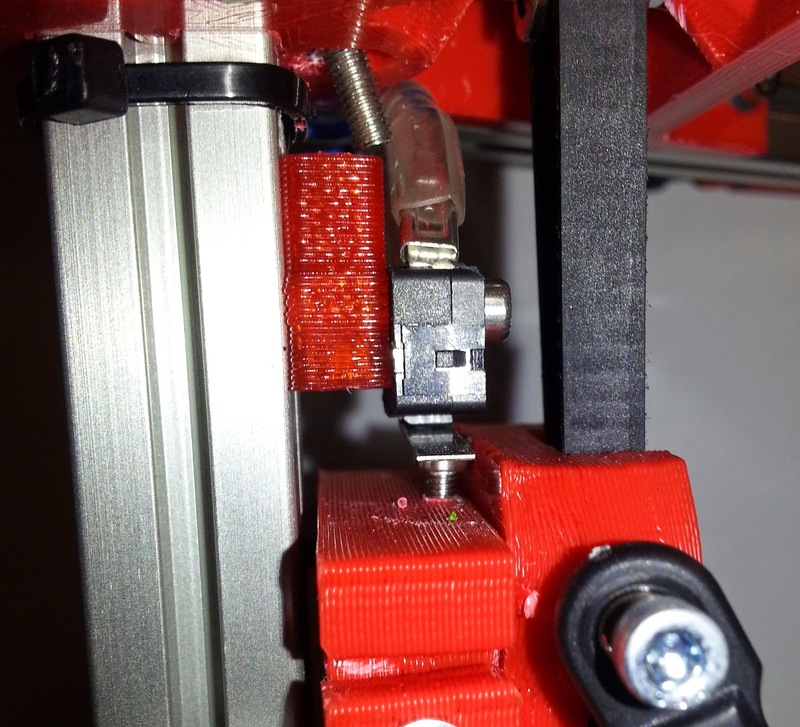 This extruder mount holds the extruder more firmly to the frame than the original Think3dprint3d zip tie version. It uses a nut threaded onto the PTFE tube rather than the pushfit connector (top picture).The new mount is shared by elmuchacho on thingiverse and tinkercad. 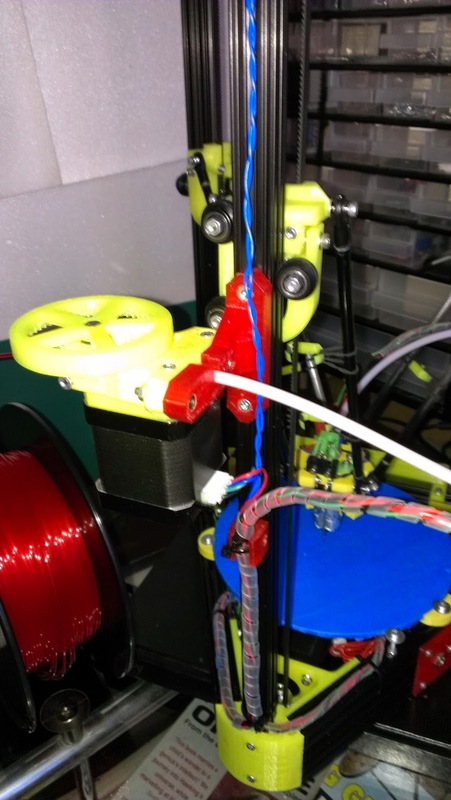 He has also shared a version that uses the pushfit connector supplied with our kits. To complement this I have reverted part of the extruder block to use the mounting screws and taken the opportunity to make a few other minor tweaks to improve printability - it's also available on the Think3dprint3d github. Dust is also using a similar idea on his Mini Kossel build (He is not building one of our kits but a similar printer). We have confirmed the design for the heatbed (Kapton heater on Alu plate with insulation underneath). We are now just waiting for parts to arrive in bulk before we go ahead and offer them for sale. They will be offered at a discount to existing Mini Kossel customers and as an upgrade/stand-alone item as well. The details will follow in a separate blog post. Thanks for these! Dampers and mount printed and in use! Laurent Muchacho deserves the credit for the dampers! The outrigger is great, I had not noticed that problem because we use the second half od the supplied PTFE tube, along with the filament guide to provide a filament path between the guide and the extruder. I created a simple top mounted reel holder (uses an extra bit of 6mm carbon fibre tube), as many of the reels I was getting did not fit the original supplied in the kit. great stuff alex - thanks for sharing it!